Intern wiring a DC Freezer system in a remote atoll in the Marshall Islands. Come volunteer your time and help to ensure the Marshallese people have access to sustainable energy for generations to come! We are now offering internship positions as part of our current renewable energy and social development project portfolio. Interns will be working on a few select projects, based on their skills and interest. Three to four applicants are often selected for the internship at a time, as to have the option of working together. While guidance will be provided on these projects, interns should be independent and self-driven. In their spare time, interns can enjoy fishing, swimming, and exploring the Majuro lagoon by using Island Eco’s own motorboat. Internships and training have always been an integral part of Island Eco’s work, as the company strives to carry out research projects and provide training towards creating lasting sustainable energy projects and services. 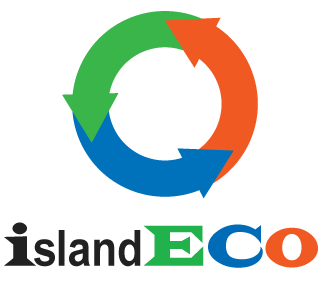 In fact, over the past five years, Island Eco has been mostly a project-based social entrepreneurship, and has moved away from the commercial model. For example, Island Eco was funded by the USDA through a competitive grant to install a total of 165 solar powered lighting and refrigeration systems in outer island atolls. 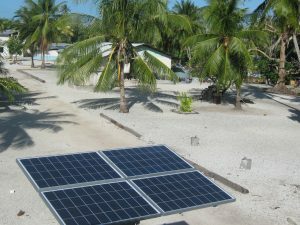 The USDA projects were completed in 2013, and Island Eco has recently been selected to provide an additional three atolls with renewable energy systems (read more on our Solar Projects page). Thus, Island Eco is currently recruiting a project team, and is seeking interns to join.